Surviving four kids! 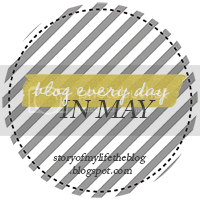 : Blog Every Day In May - Day 5: Professing my LOVE! Blog Every Day In May - Day 5: Professing my LOVE! I could go on, and on, and on, and on, and on..... But these are the ones I stalk visit often! Like daily! So, I love you all! I think everyone who blogs is amazing, and they all inspire me.